Ice Mold Pedestal: Our Glo-Ice® ice mold pedestal is a simple but effective way to securely hold your ice carving when displayed in a Glo-Ice® tray. Small steel teeth grip the ice carving and the rubber feet of the pedestal allow it to sit in the tray without sliding. 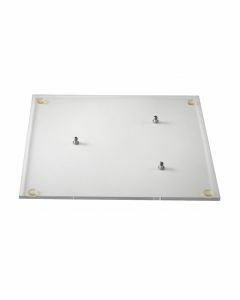 The ice mold pedestal fits all Glo-Ice® tray sizes. 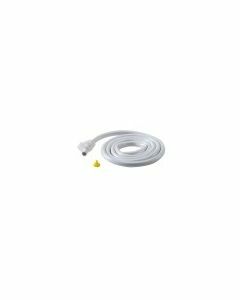 Replacement Drain Hose Kit: Melting ice drains out of our Glo-Ice® trays through the simple but effective drain hose kit which can be replaced easily and inexpensively. The drain hose kit fits all Glo-Ice® tray sizes. Novus Polish and Cleaners: Novus® is the best cleaning product available for polishing acrylic and removing small scratches. 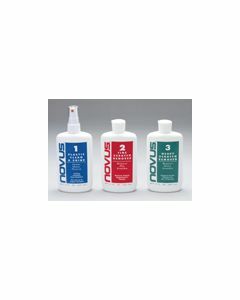 We offer the Novus® 1, 2 and 3 polishes and cleaners in convenient, easy-to-use 8 oz. bottles.